Old castle town Kawagoe city in Saitama. | Why don't you go on a trip to Japan? In Japan, it is autumn season right now, but recently it has happened hot days like summer and cold days with the temperature like in December on after the other, the difference in temperature is intense, I think that many people get a cold. Please be careful. 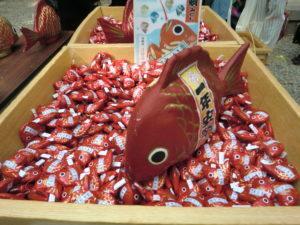 Anyway, I’m talking about my excursion, I visited Kawagoe in Saitama prefecture few weeks ago. 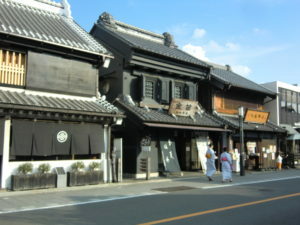 Kawagoe has old town scapes in existence, which flourished during the Edo to Meiji period are. Kawagoe flourished as a commercial town during the Edo period, and it has been a close relationship with the Edo shogunate. 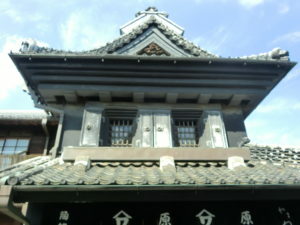 It is said that Tokugawa Ieyasu and Iemitsu had have enjoyed hawk hunting in Kawagoe. Kawagoe also placed a powerful lord as a northern fortress of Edo. 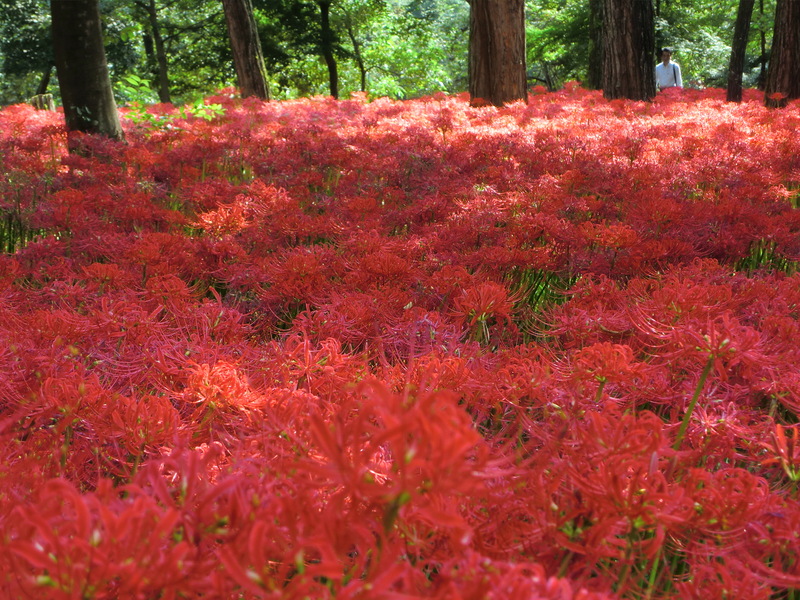 In the Meiji period, the town was damaged by a big fire and one third of that was destroyed. 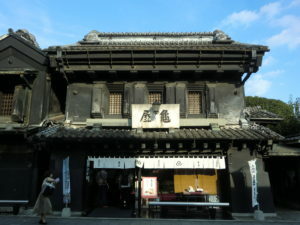 By the lessons learned at that time, merchants in Kawagoe adopted “warehouse building”, which is a Japanese traditional building style using a combination of wooden pillars and clay wall covered with lacquer, and it turn into a strong building against fire. 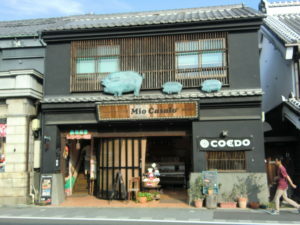 That’s why there are still many buildings at that time in Kawagoe. 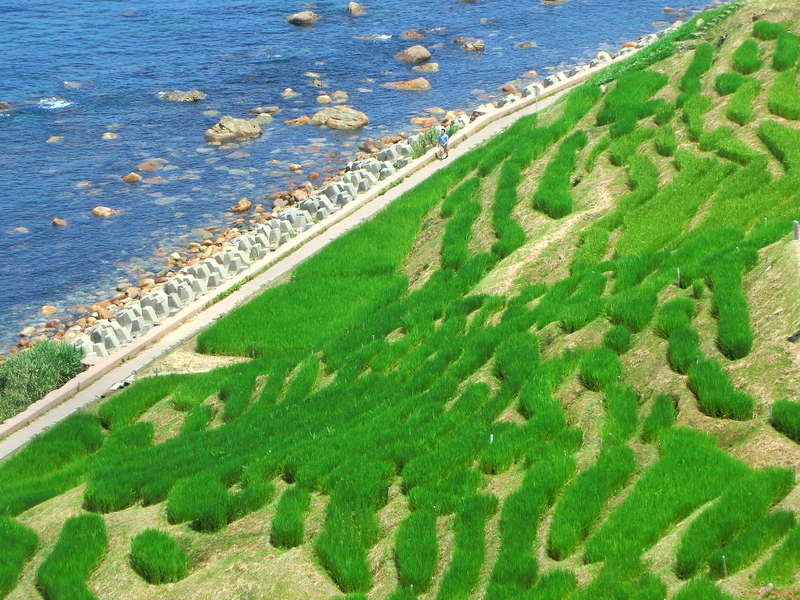 It takes about an hour from central Tokyo by train. Access: Kawagoe Station, 30 minutes from Ikebukuro St. on Tobu Tojo Line. Hon-Kawagoe Station, 60 minutes from Shinjuku Station on Seibu Shinjuku Line. You can buy one-day bus free pass at JR Kawagoe Station. Since there is an information center at the station, you can get information there. One-day bus pass: adult \ 300. I bought the bus pass ticket and got a city map at the station, then took a bus. It was about 10 minutes and took off the bus stop Nakamachi, which was the center of the town “Kura no Machi” where the old cityscape remains. In this area, existing shops, houses, banks are lined up. Many of these buildings are reused for souvenir shops, cafes and business continued to operate since long time ago. There are many tourists even weekdays., and they seemed to be enjoyed soft cream, rice crackers, Japanese sweet dumplings and taking photos. 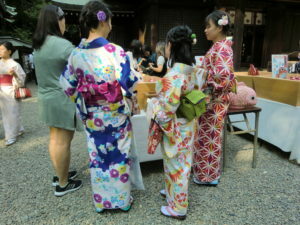 Foreign and Japanese young couples had a date with wearing yukata. I found some yukata shops in this area. 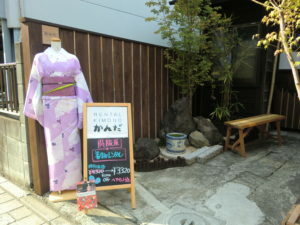 It costs around \3000 including dressing yukata, hair & make up for the one-day. 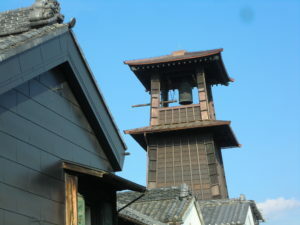 “Time’s Bell” or “Toki no Kane” is a symbol and one of the popular attractions in this town. 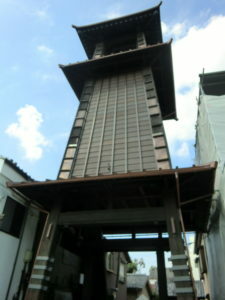 The current bell tower was rebuilt in 1893 as the 4th generation. 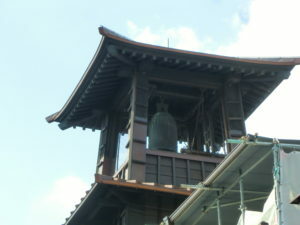 Currently the bell sounds four times at 6 AM, noon, 3 PM, 6 PM by a mechanical system. I took a bus again and went to Hikawa Shrine, which takes about 5 minutes. 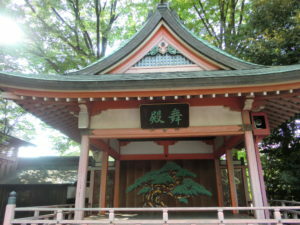 The history of this shrine dates back to 1500 years ago. 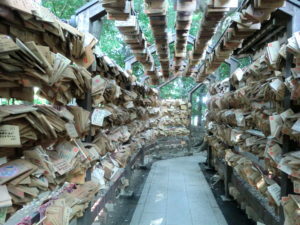 It is said that the god in this shrine is for marriage. So, a lot of couples came to pray here. This shrine can be done wedding ceremony. I heard that recently it is a secret boom that young people give wedding ceremonies at shrines caused by the influence of celebrities. In addition to this shrine there were several temples near the town of the warehouse. We can enter the garden for free, I think it would be nice to observe some of them. 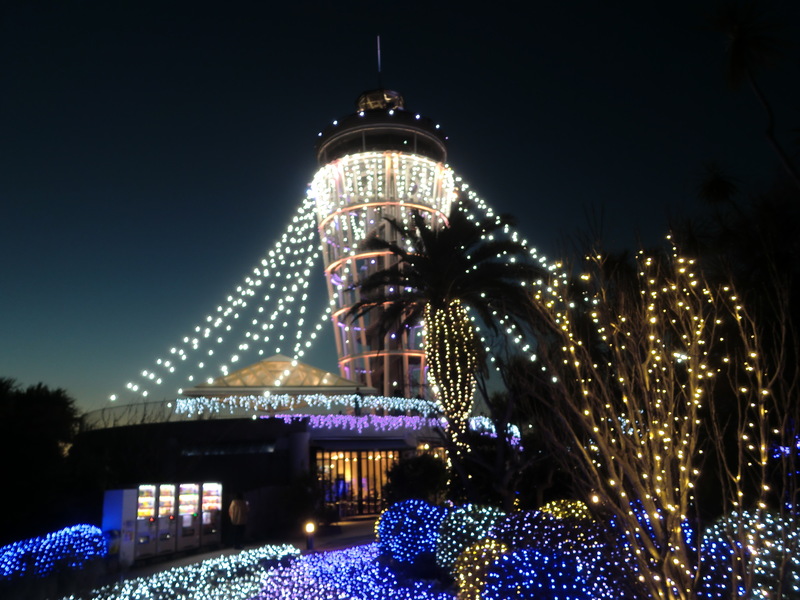 I think that it can be enjoyed for just one day as it is close to Tokyo.